Graduate Fog is a career website for job-seeking graduates in the UK. The website was created with purpose to help young to better understand today’s fast-changing job market. Independent, rebel and enthusiastic, Graduate Fog brings fresh and practical career advice to help graduates finding their first job rapidly. Besides lots of relevant and up-to-date content, the website offers graduate job-seekers a possibility to communicate with each other. When you’re living back at home miles away from your friends and your parents don’t have friends in high places to arrange interviews for you, it's very important to know that thousands of people like you are in the same boat. You can connect to them at any time, share your views and stories, ask for help and build your network on Graduate Fog. 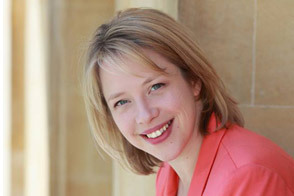 The website is run by Tanya de Grunwald, blogger, journalist and author of new book How to Get a Graduate Job in a Recession (published May 2012). It’s still only £9.99 – and if you don’t get a job after reading it, Graduate Frog gives you your money back!